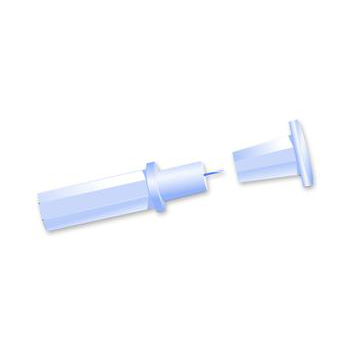 The Invacare 30 Gauge Lancet has a precision cut tip that features virtually pain-free skin penetration, yet allows the user to get the proper amount of blood needed to test the first time. The Invacare 30 Gauge Lancet has a precision cut tip that features virtually pain-free skin penetration, yet allows the user to get the proper amount of blood needed to test the first time. Its two-piece construction insures that the lancet is free from any plastic debris and provides for an easier and safer disposal after each use. Product is triple inspected for safety with each lot inspected by an independent lab for sterility.